This is a sponsored post as always all opinions are my own. As you may know if you follow my page, I do a lot of baking. 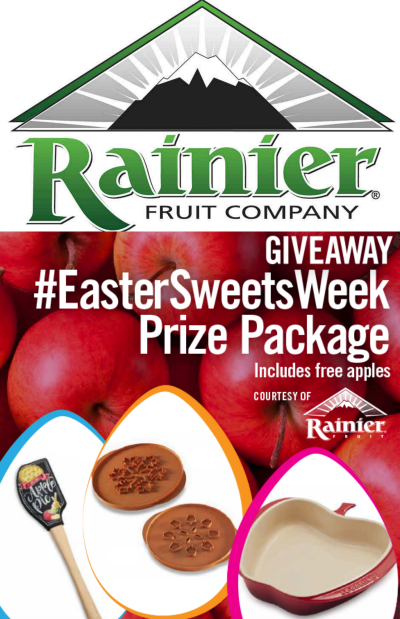 So when I got accepted to participate in #EasterSweetsWeek you can imagine how excited I was. 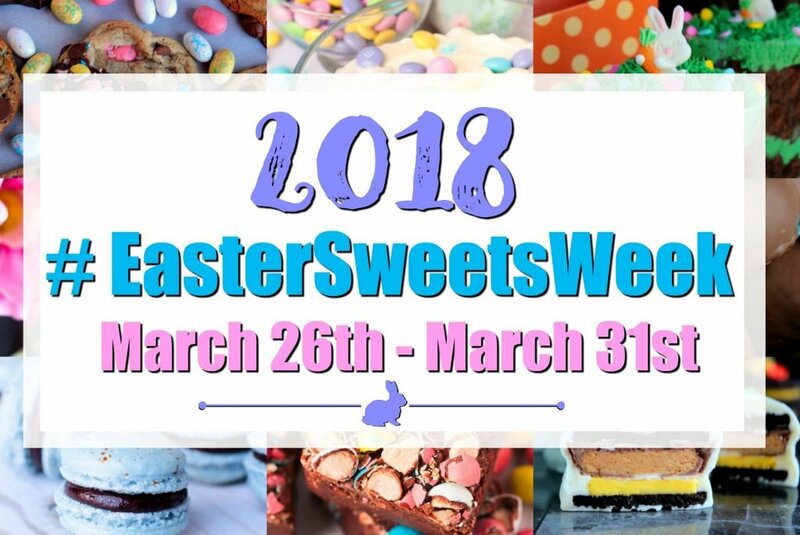 Easter Sweets Week is exactly what it sounds like...a week dedicated to all things sweet that are perfect for Easter. This event is being hosted by Angie from Big Bear’s Wife and includes recipes from 28 of my favorite bloggers...be sure to come back every day! You’re going to love what we have in store for you!! If you need a dessert that is easy to make and sure to impress....this is it! I used Adams brand vanilla extract and Dixie Crystals brand sugar to make this amazingly delicious cake and couldn't have been happier with the results. 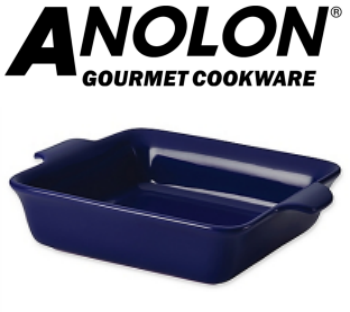 Next time around I will bake this in my Anolon cobalt blue baker for a visual treat! Thanks to our sponsors we have 5 giveaways going on this week ! Preheat oven to 350. Grease a 9-inch/23-cm round cake pan and line with parchment paper, then set aside. Place the almond flour, coconut, sugar, flour, baking powder and salt in a large mixing bowl and whisk. Place the eggs in a separate bowl and whisk lightly. Add the melted butter, vanilla extract and lemon zest to the eggs and whisk again until well combined. Pour this into the dry mixture and whisk to combine. Fold in 1 cup/150 g of the blueberries, then pour the mixture into the pan. Sprinkle rest of the blueberries and the almonds on top. Bake for 50-55 minutes, or until a skewer inserted into the center comes out clean. Set on a cooling rack for 30 minutes before inverting the cake out of the pan, removing the parchment paper and placing right side up on a serving plate. And now for the fun stuff! Keep scrolling to see all the prizes and enter to win! Prize #1 — Dixie Crystals is giving away one (1) Instant Pot to one lucky winner! Giveaway open to US Residents 18 years or older.. All entries will be verified. No PO Boxes Please. Prizes will be sent directly from sponsors to winners, bloggers are not responsible for prizes. This giveaway runs from Marh 26th - April 1st at 12AMEST. Winners will be selected soon afterwards and contacted by e-mail. Winners will have 48 hours to respond or a new winner will be chosen. There are a total of 5 (five) prizes and therefore we will have a total of 5 (five) winners. No purchase necessary. Void where prohibited by law. Perfect cake!! 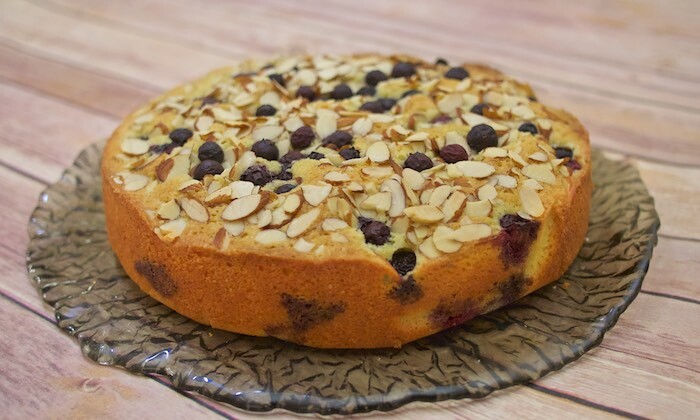 I love the blueberries peaking through the almonds! Blueberries and coconut and almonds all in one, I love it. 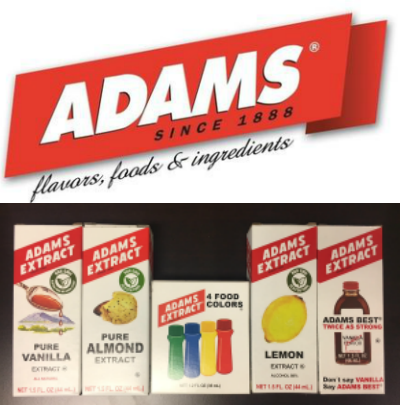 A trio of delicious flavors in every bite! Love this cake! This cake does sound so good! My fav is Ricotta Cake!!! I would soo love to have the extracts!!! My favorite Easter Dessert is a yummy king cake with multicolor icing. Thanks. We don't have desserts in a sense. We bake a lot of sweet breads for Easter. We bake a special recipe for cinnamon rolls, cream cheese filled breads, real butter Danish pastries from scratch, and an assortment of quick breads. My favorite dessert is lemon cream pie. My favorite Easter dessert is Cookies and cream pie! Lemon supreme pound cake has been my favorite for years but a friend shared her mom's old recipe for orange juice cake and it might have taken first place. I am playing with combining the two. First test was really good but I think what I am going to make this week will top that result. Apple pie is my favorite.